One of the greatest challenges is often faced when students move from primary to senior school. As a teacher, one must continue to have high expectations, but be prepared to be flexible. In London especially, students often go to extremely academic and competitive secondary schools. They may even have gained a music scholarship, which leads to more music-making responsibilities at school. The first year of senior school can be a time when the student struggles to juggle the increased school work with cello practice – and it’s often the practice that suffers. A fine balance needs to be struck between the expectation of progress and an understanding of the situation. Make sure that students do not get bogged down in difficult repertoire that they do not have the time to work on sufficiently. As Ed Kreitman describes in his book, ‘Teaching With An Open Heart’, everything in life can be thought of as conforming to the natural rhythms of ebb and flow. This time can be classed as more of an ebb for some students, and the teacher must try to maintain the student’s interest, not let them become disheartened and continue to set them up for success when their life returns to a more even keel, and they are able to devote more time again to their instrument. As students progress through the later Suzuki books, there is a great deal of supplementary material that should be introduced. If done sensitively, a teacher can identify pieces that will suit the particular student and inspire them in their playing. Some students are particularly captured by Bach, and so can easily learn whole suites. Others may be more engaged by the Romantic repertoire, and so Brahms and Faure may be suitable. 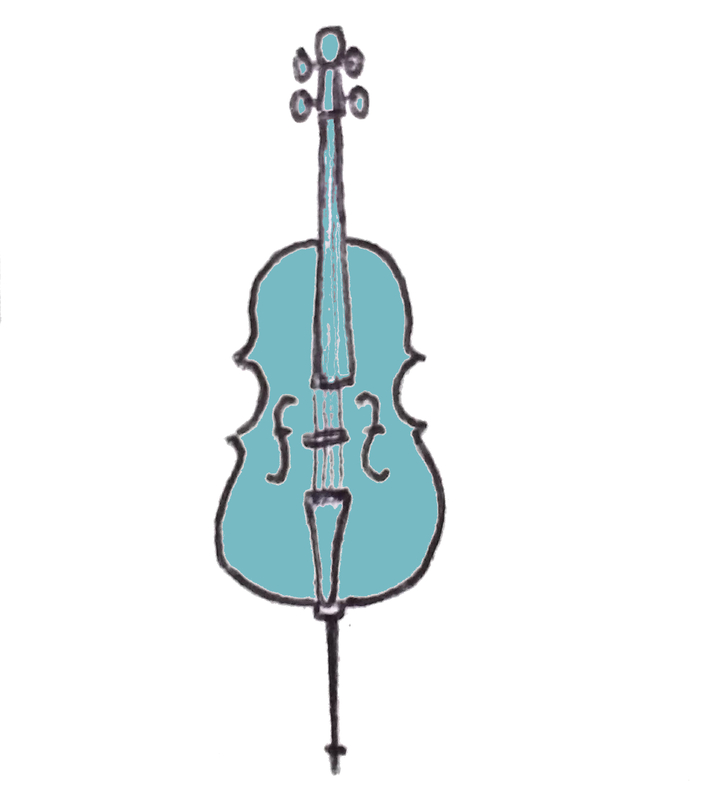 This does not mean that the student should only play a narrow range of pieces that fit with their particular interest at the time (a teacher’s role is also to stretch and challenge) but a canny teacher will adjust and tailor their approach to repertoire so that the student learns what they need to learn, whilst also playing pieces of particular interest to them. If one has a group of teenage students who have known each other for many years, their friendship and support of each other will help maintain a teacher’s teenage programme. Regular group classes are very important in this, although the content and structure of the group may well involve less straight Suzuki repertoire (especially if there is a wide range of levels in the group). I have arranged a large amount of popular, classical and film music for my cello groups, and this ensemble playing is something my older students very much enjoy. It is a good way for them to practise sight-reading and ensemble playing. Every so often I will combine all my groups, and the teenage students have fun playing with the younger students, and begin to appreciate how far they have come. Performing opportunities are very important, and I find that there tend to be many. Students often have to perform at school for concerts, competitions of assessments. Organising high-level Suzuki group and individual concerts is a good way to keep students engaged in the Suzuki world. Large group concerts (such as the ones organised by the LSG and BSI) give students an opportunity to play in some of London’s most impressive venues. We have a thriving youth orchestra scene in the UK, something that simply doesn’t exist in many other countries. Teachers should encourage students to join orchestras – either at school, county level or on holiday courses. Getting to know the string and symphony orchestra repertoire opens up a whole new world of playing; one that will quite possibly play a large part in the rest of their lives. Students should also be introduced to chamber music. This can be done as part of a groups programme if there are violinists available, or by encouraging students to get together with friends and play. There are also a number of summer courses, both Suzuki and non-Suzuki (such as Young Grittleton, NCMC or Pro Corda) that give students the opportunity to focus on chamber music repertoire. This kind of playing is a great way to improve sight reading, and can be hugely motivating.